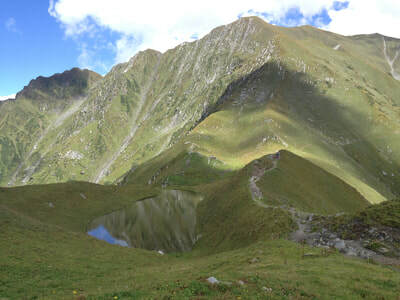 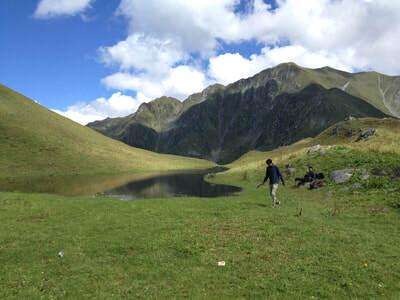 Dehnasar Lake Trek also called daynasar, danesar, denaser lake, dehensar lake, diana lake is one of the highest lakes in Dhauladhar. 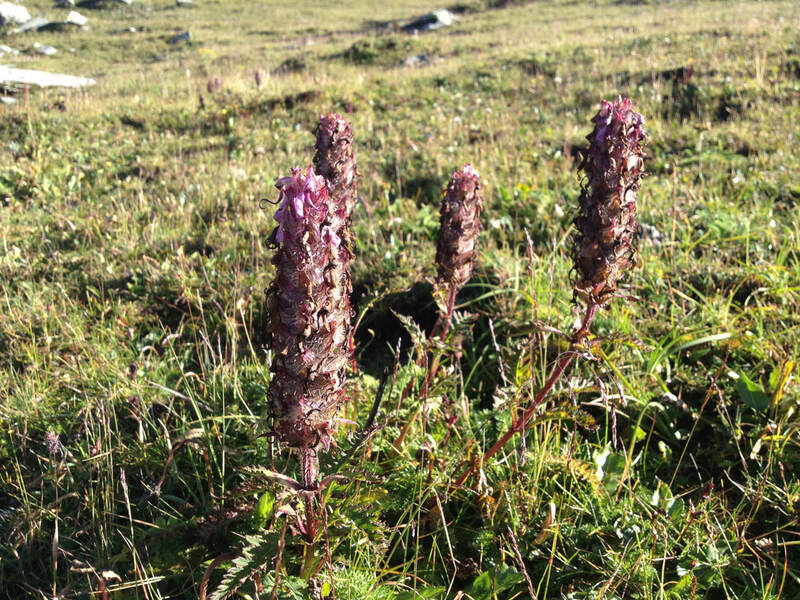 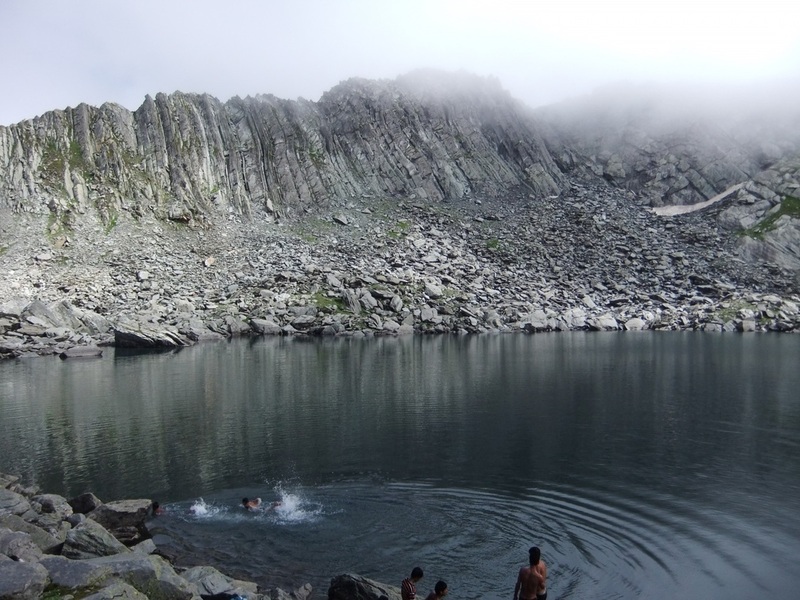 It is located at an elevation of 4250 Mts. 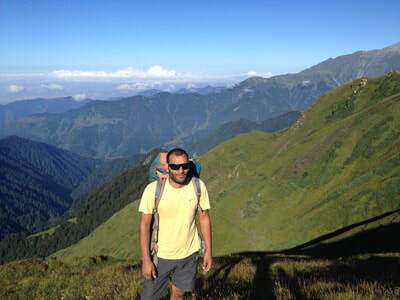 on the foot hill of Ghora Lotnu Peak. 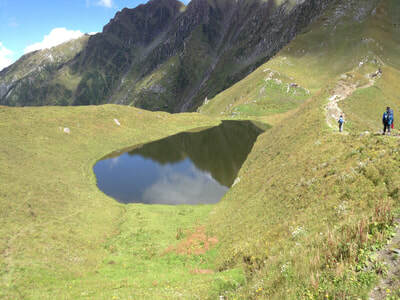 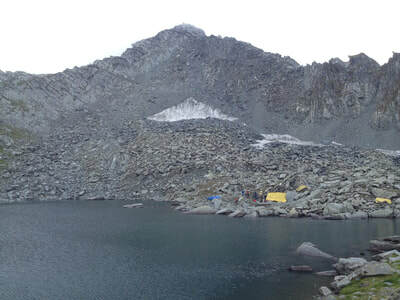 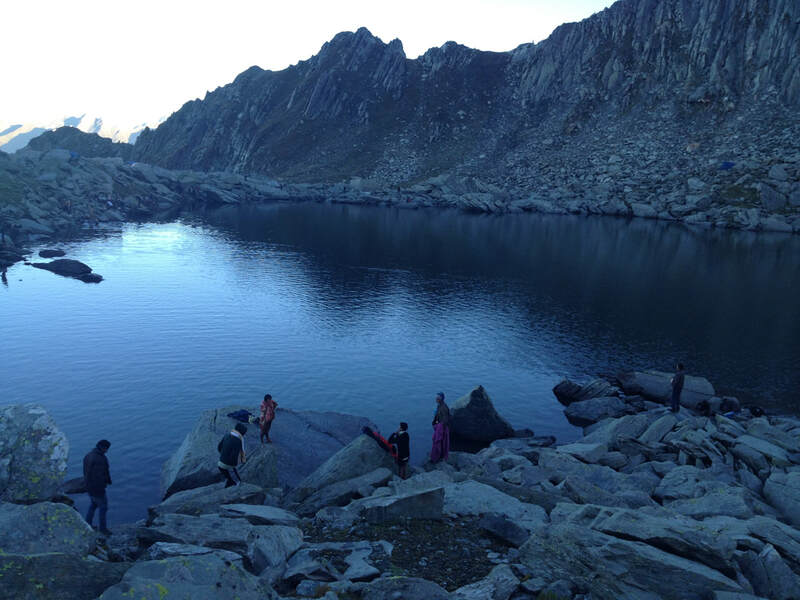 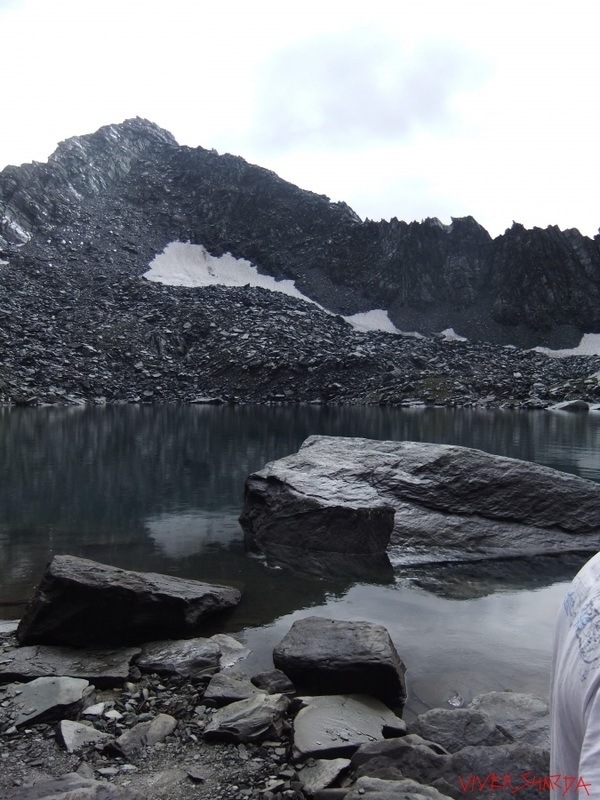 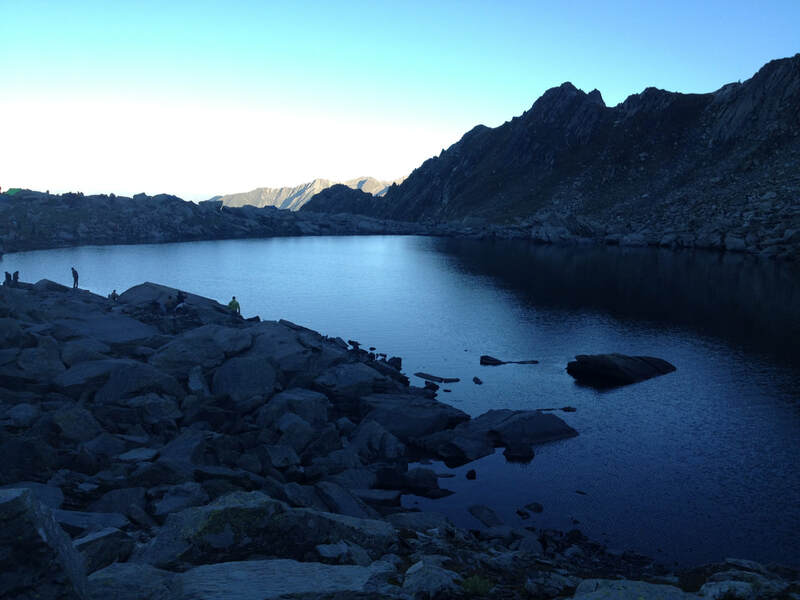 This lake like other lakes of Outer Himalaya is held very sacred for the local people. 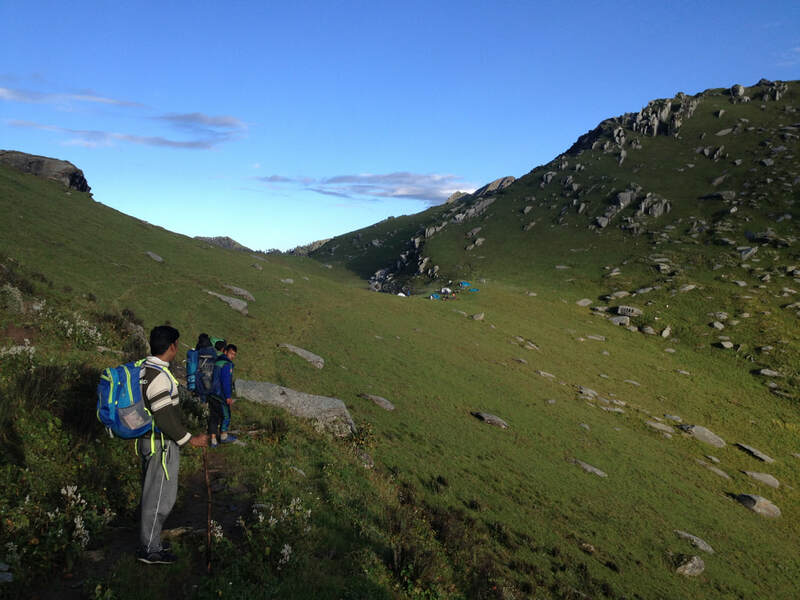 This trek is one of the finest treks that passes through very scenic places and valleys of Chhotabhangal; the tribal region of Himalayas. 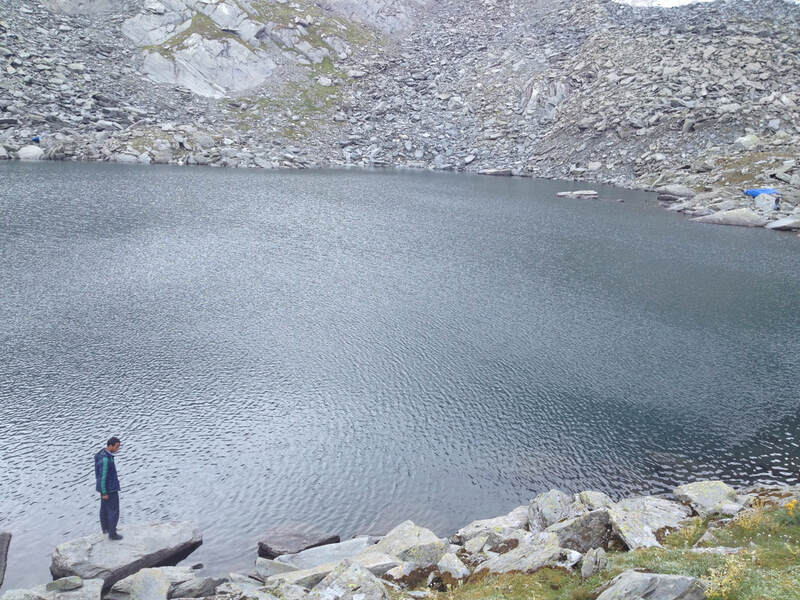 Dehnasar/ Danesar Lake has a circumference of about 800 metres. 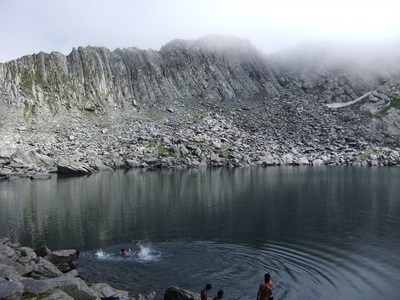 This lake is visited by devotees of the Lord Shiva to take a holy dip in the sacred water for fulfillment of their desires. 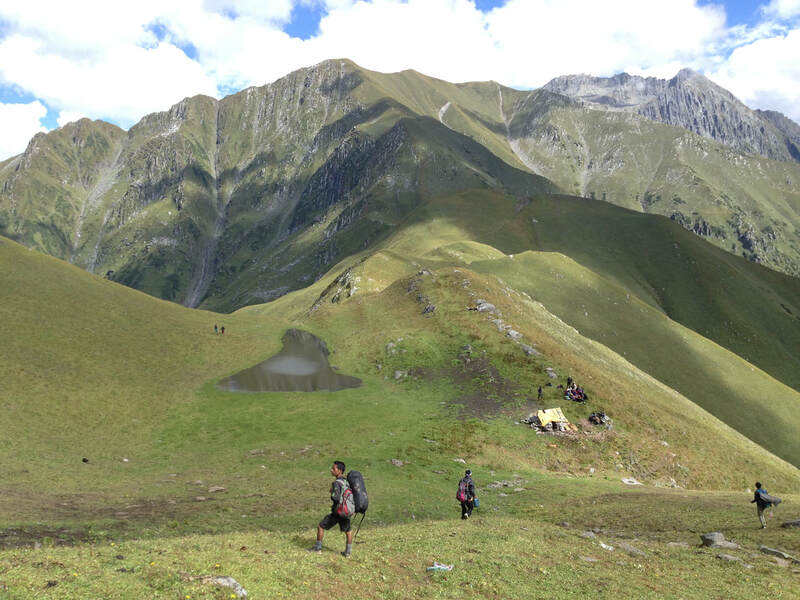 This pilgrimage comes after the Manimahesh Yatra. Sari-Pass needs to be crossed from Barot to visit Danser Lake. Which mesmerizes you with sheer magnificence, Sari Pass shows the untouched beauty of the Himachal Himalayas with lush green jungles and glaciers. 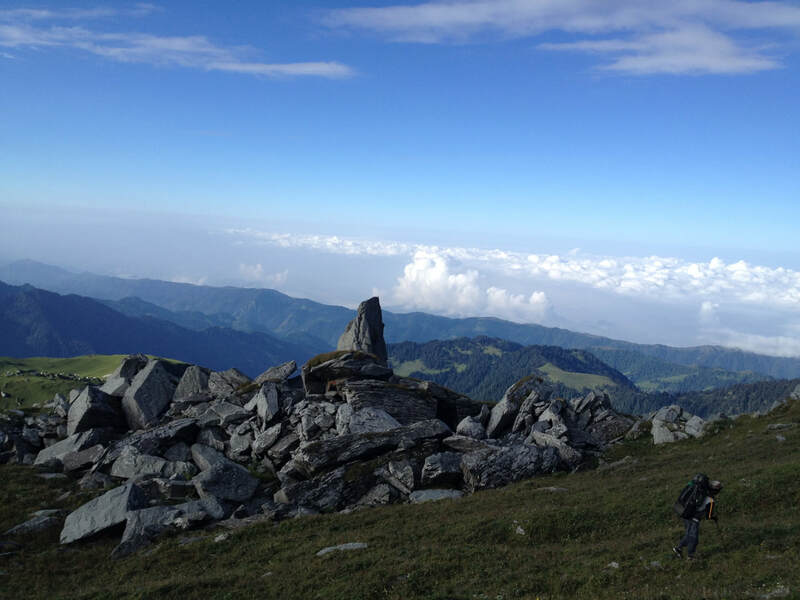 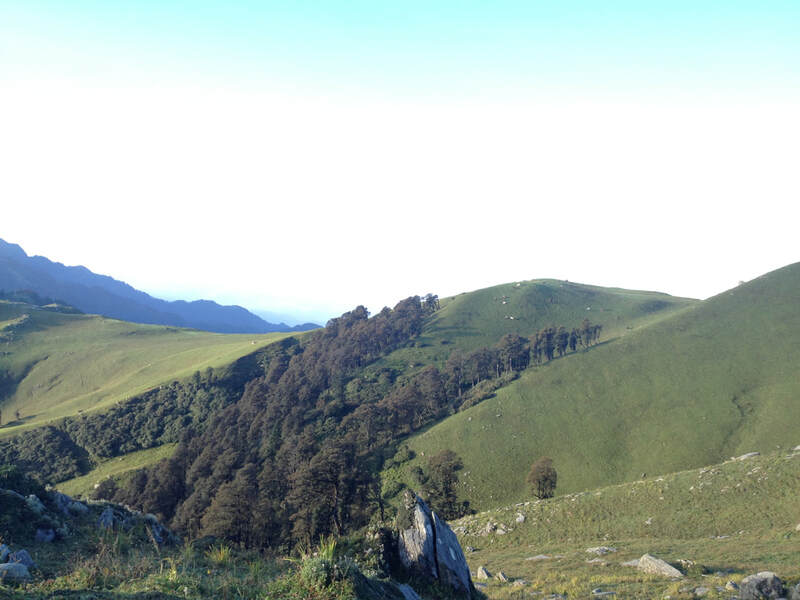 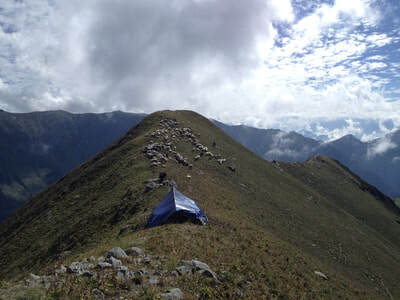 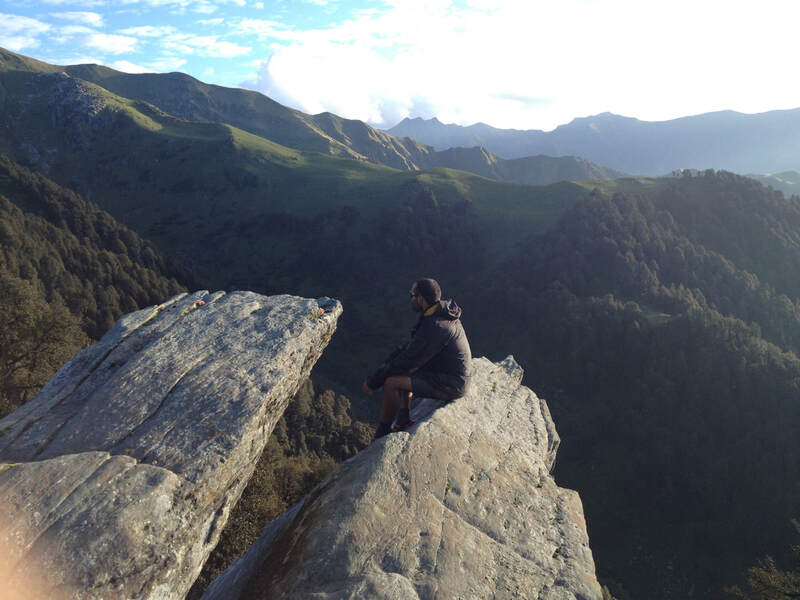 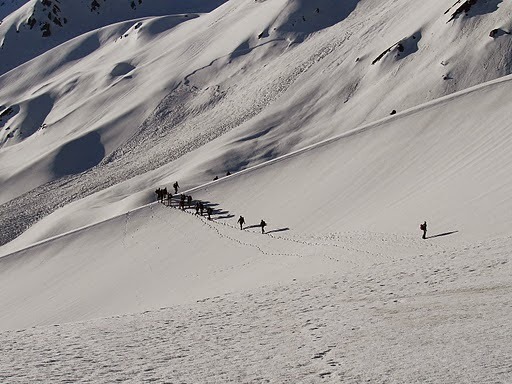 It's a 6 days Trek over Sari Pass and gives you an option to reach Kullu Valley or come back to Barot the same day. 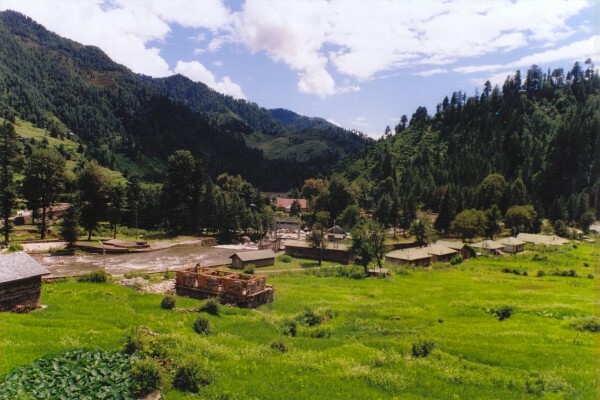 Barot is a wonderful town near Joginder Nagar in Mandi District surrounded by lush green forests. It is a backpackers paradise now also developed as an angler's paradise where you can fish for Trout in UHL river flowing. Barot is an altitude at 1800 meters. There are many guest houses in Barot as well as many shops and restaurants. It's a very laid back down which is pleasantly cool in summer and remain pleasant with need of minor warm clothes from May-October. 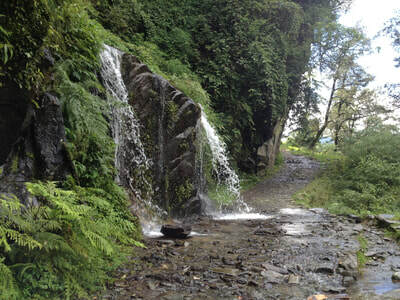 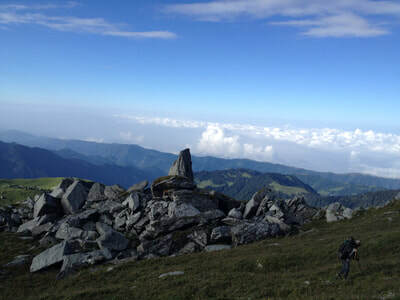 Many famous treks originate from Barot. 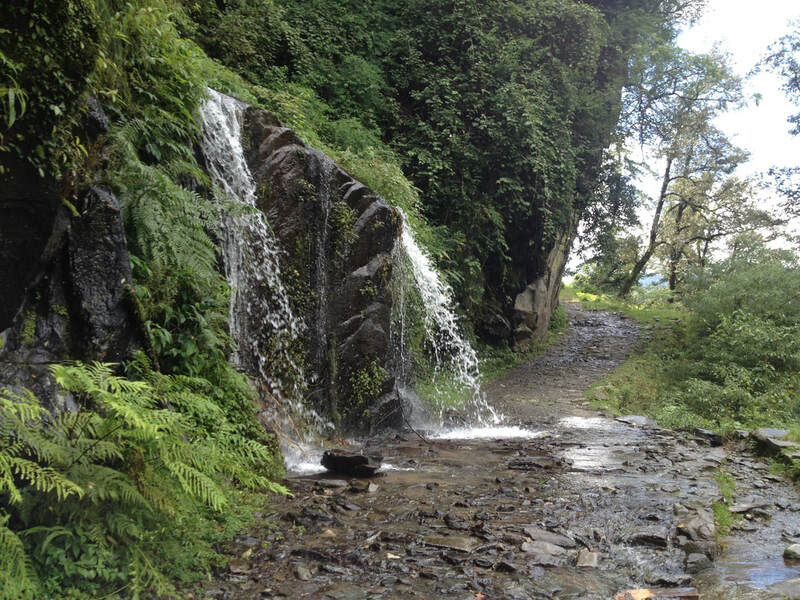 We will do sight seeing and feast over sumptous food today near the bed or river UHL. 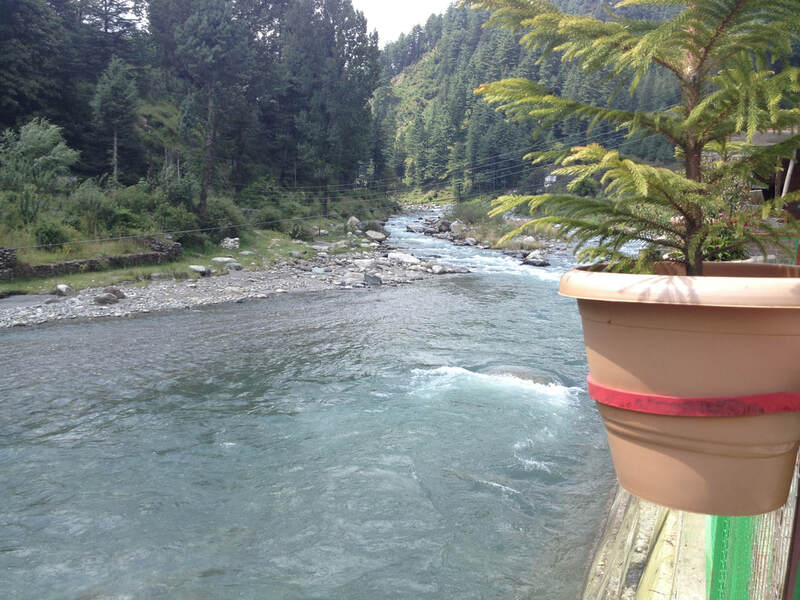 Good place to enjoy Trout fish here. 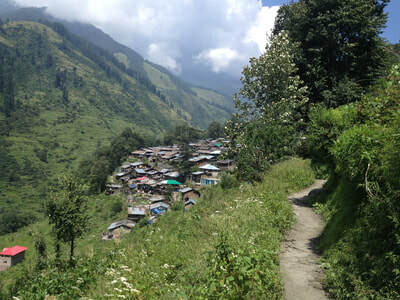 Next day we leave for Lohardi, which is just 6km from Barot and well connected by road. 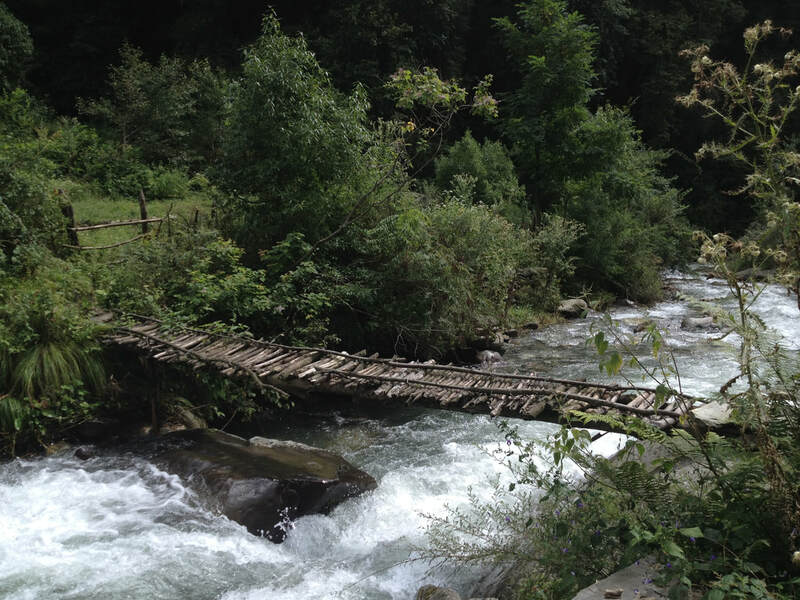 The trek starts from Lohardi to Potang and then to Morad- a place where lot of timber work is done. 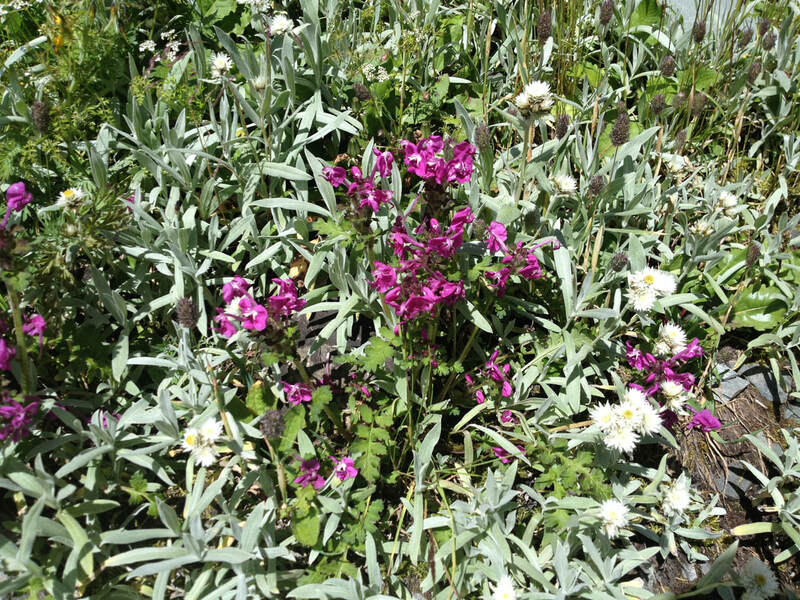 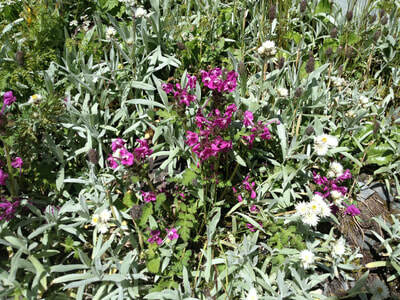 Morand valley is similar to the valley of flowers in Garhwal with plenty of wild flowers. Trek is easy and photogenic with greenery all around. 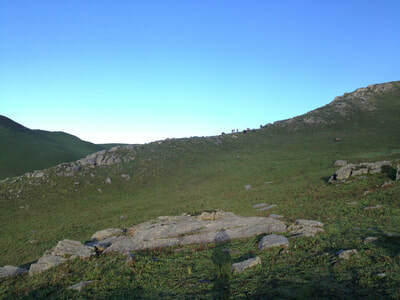 In the evening we reach Lahesh Caves in Jwara. Day-3 -Lahesh Cave to Danser Lake cross over Sari Pass (3700m) Distance: 12 Kms. 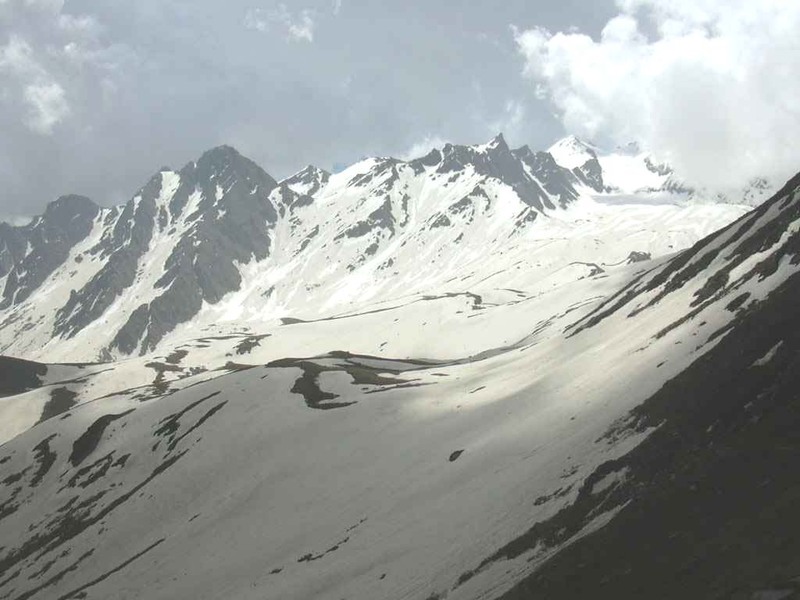 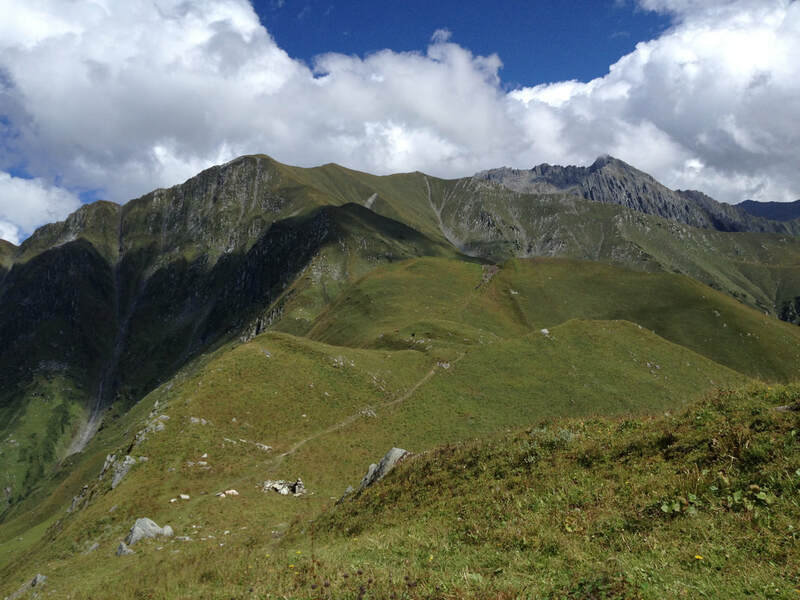 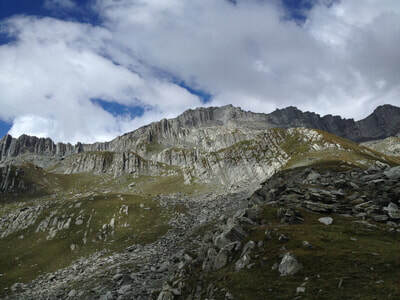 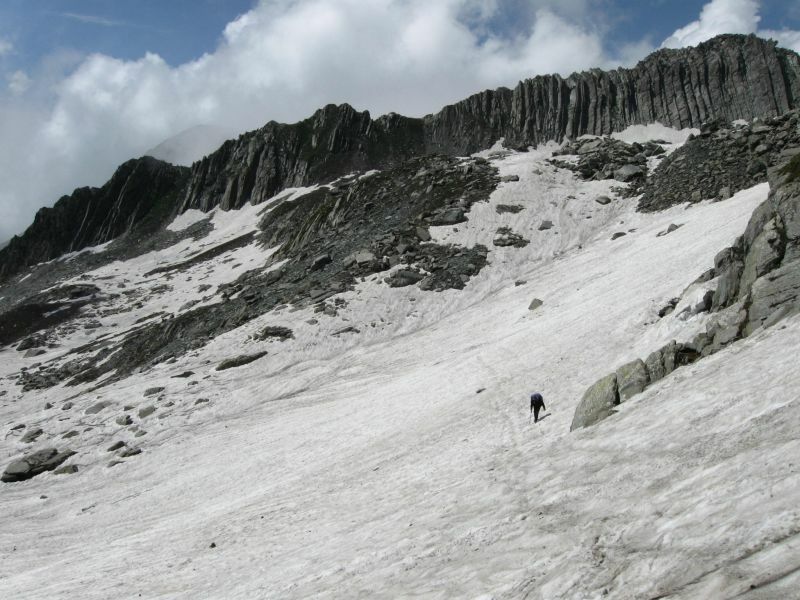 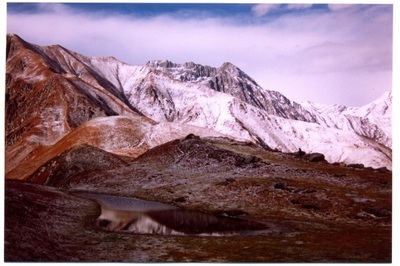 It is a moderate trek that climbs to cross sari pass (3760m). 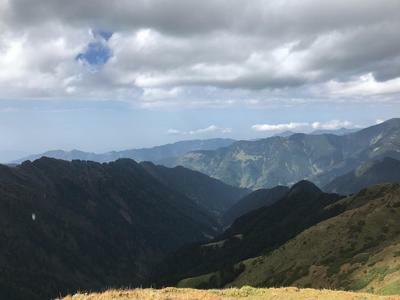 this trek is will identified one but might need the service of guide sari pass is not very high and has green meadows on top of it where shepherds with there flocks of sheep and goats stay for a long time during the summer months. 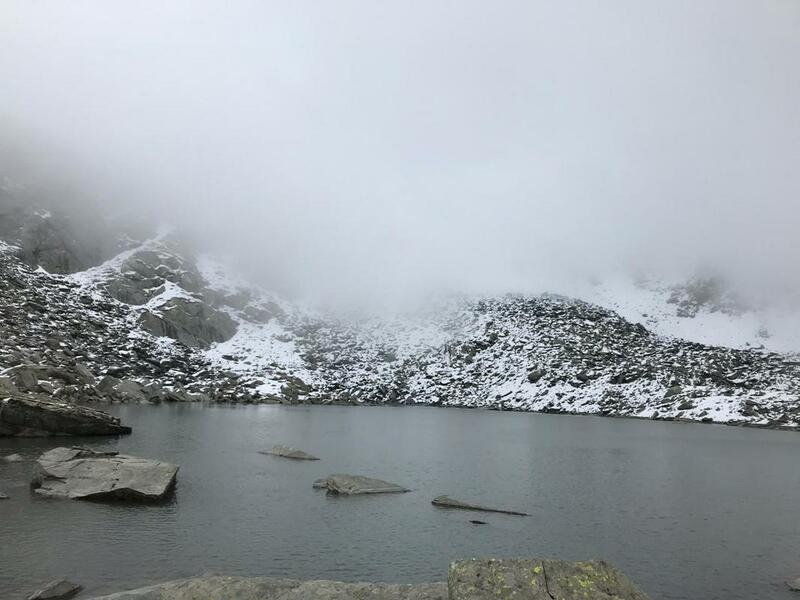 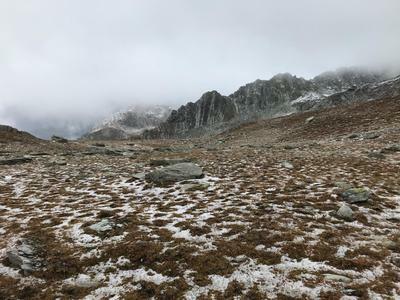 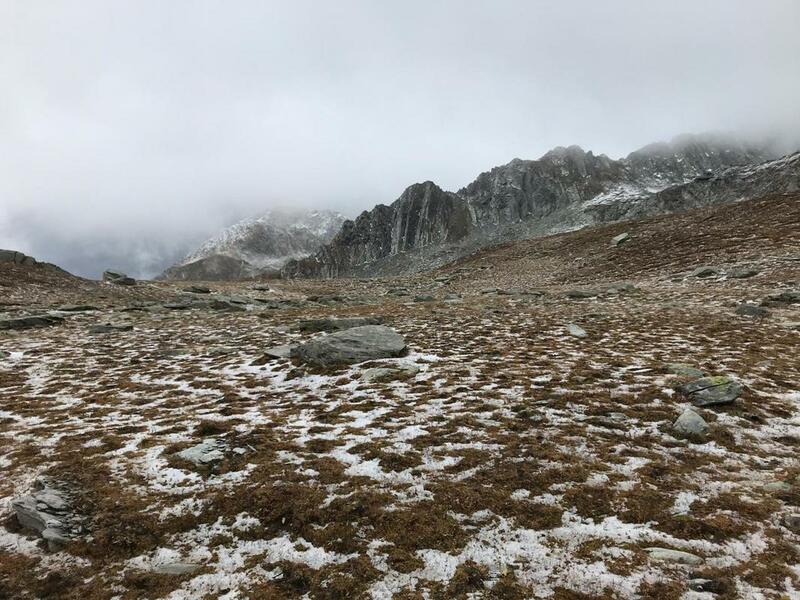 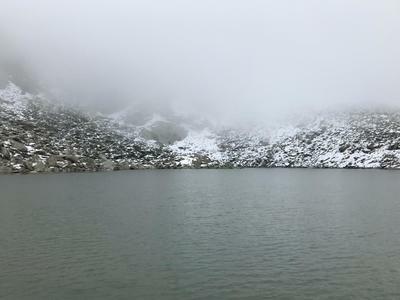 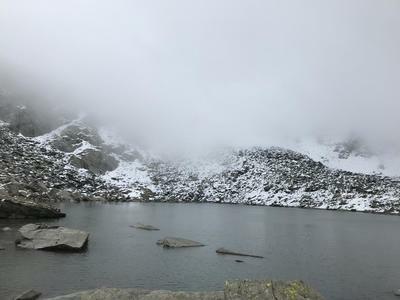 After a few hours of crossing Sari Pass we will reach Danser Lake at 4150 meters, it's very cold so advisable to carry good clothes for temperatures of well below zero degree celsius. We will camp here tonight. 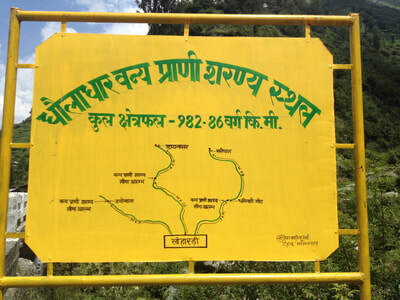 Now we have an option of going back to Barot via Maradh retracting our steps via the same route or crossing over Kullu. In case we choose to go to Kullu we would proceed to Teun village at 2700 meters. 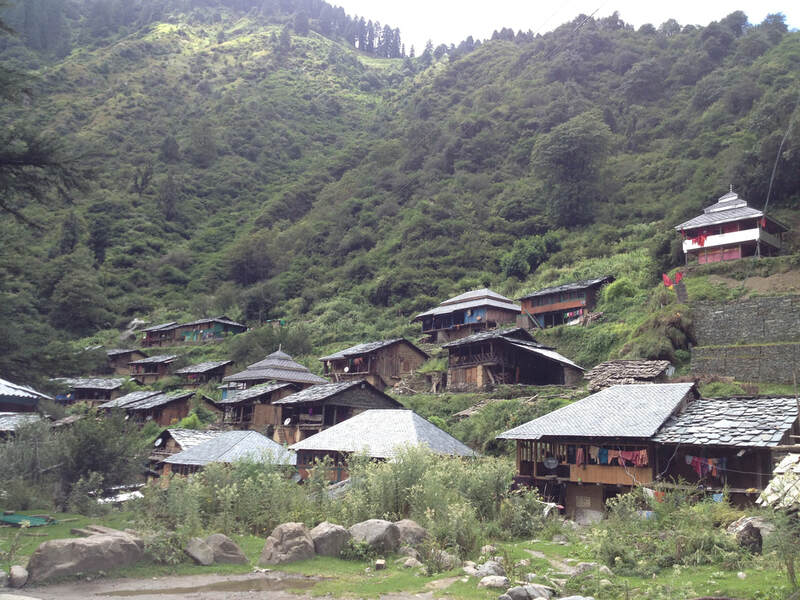 Teun is a primitive village of Rajput families who usually dont like outsider interference so it's best to stay in tents and keep reasonable distance. 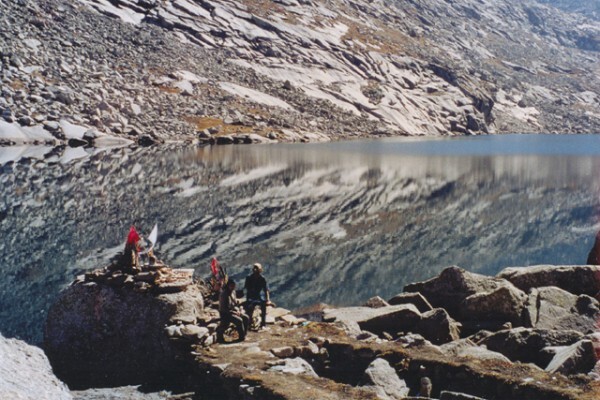 This trek is well marked and passes though many villages all along the Sari Nullah. 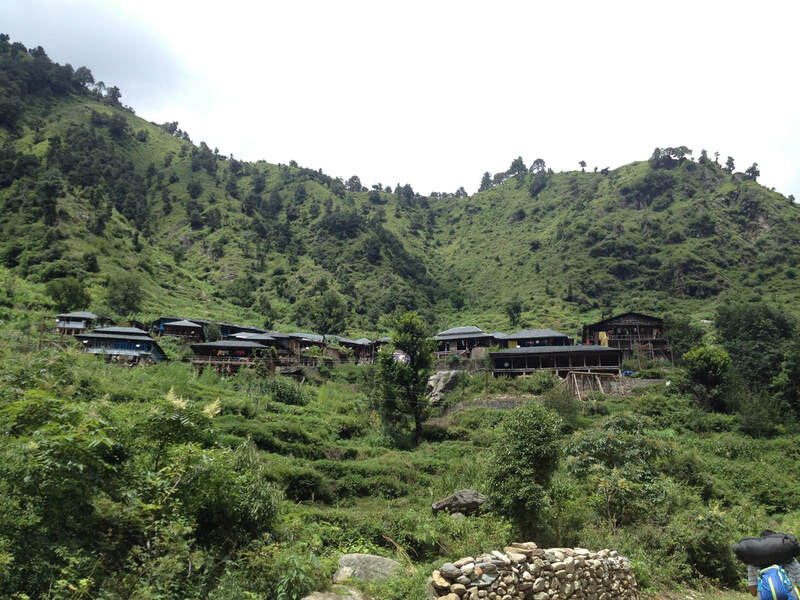 One can also reach Samalag Village from Teun which is 0nly 7 Km. 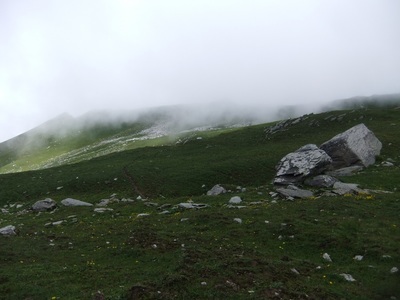 and then trek to Salang the last bus head of the Lag valley. 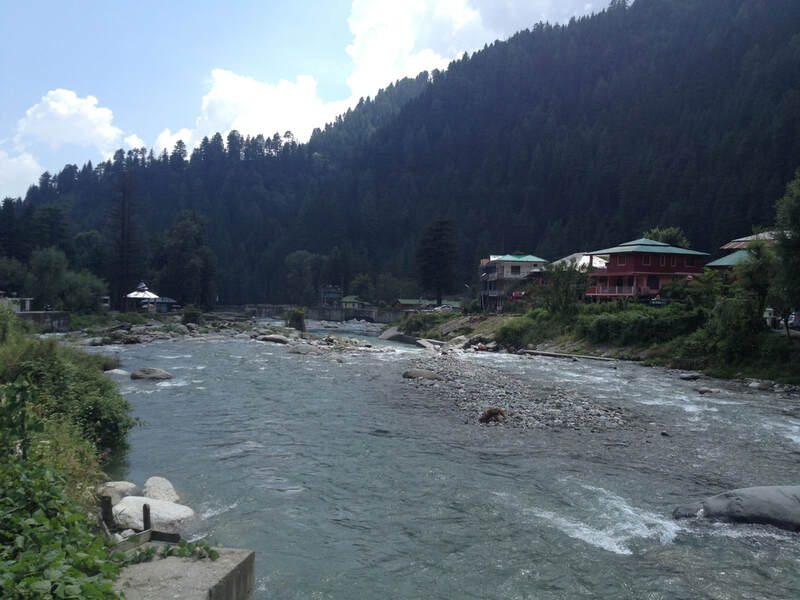 From here we will catch our bus to Kullu and then catch the bus back to Delhi or extend our stay for a day in Kullu. 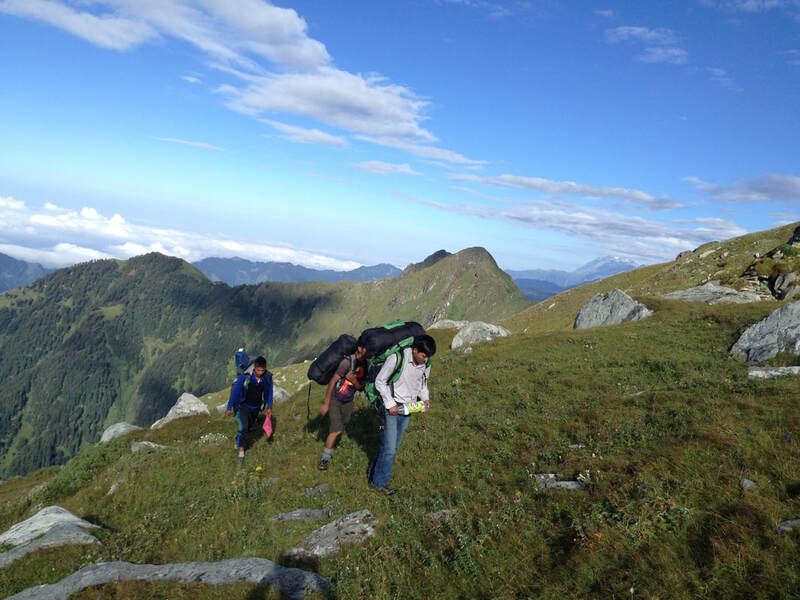 Click here...to know whats included in your package and what you need to carry.